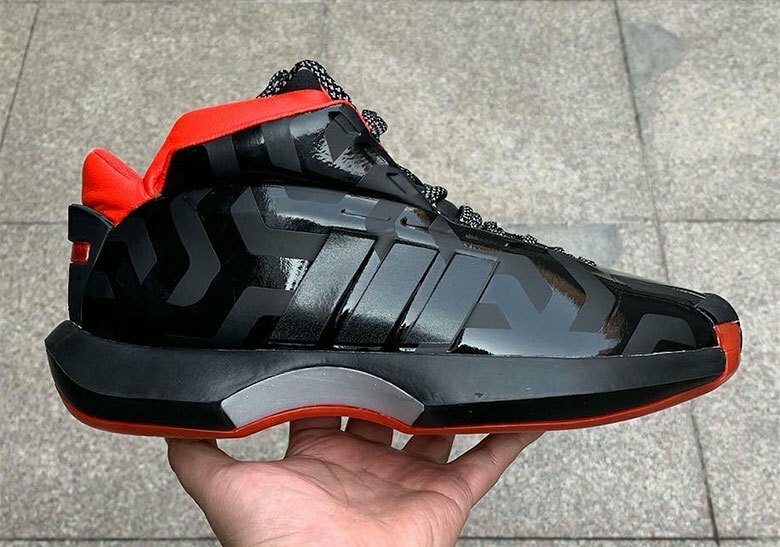 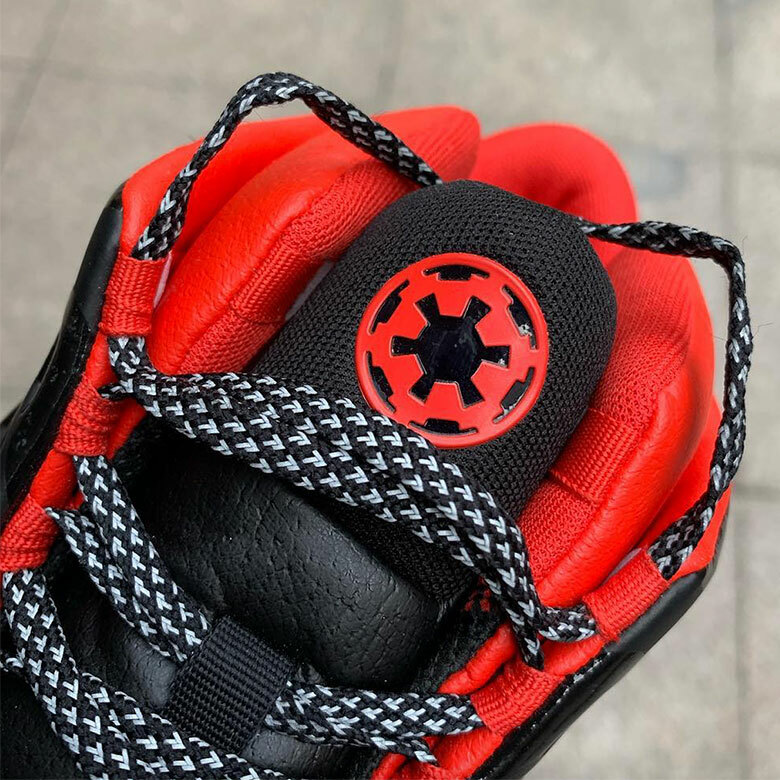 Star Wars and Adidas have joined forces for a special edition Adidas Crazy 1 (aka the Adidas Kobe) that will release this Summer, a few months before “Star Wars: The Rise Of Skywalker” hits theaters. 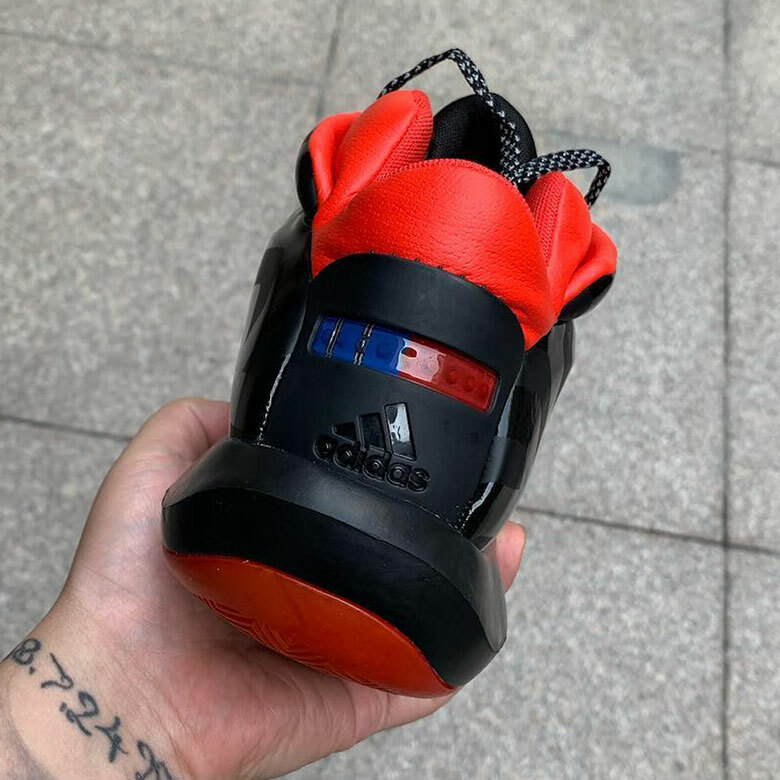 The kicks, priced at $135, are reportedly slated to drop in the Spring/Summer. 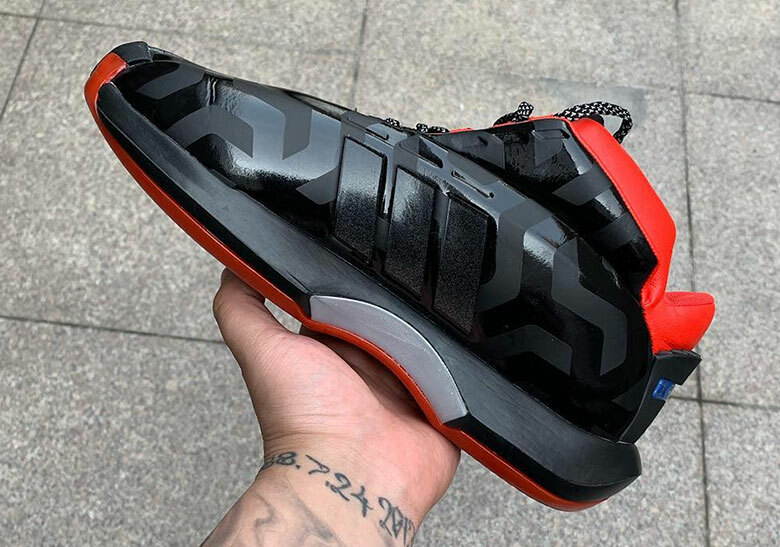 The sneaker made famous by Kobe Bryant features a glossy black upper, accompanied by red detailing on the outsole, ankle coller and inner lining. 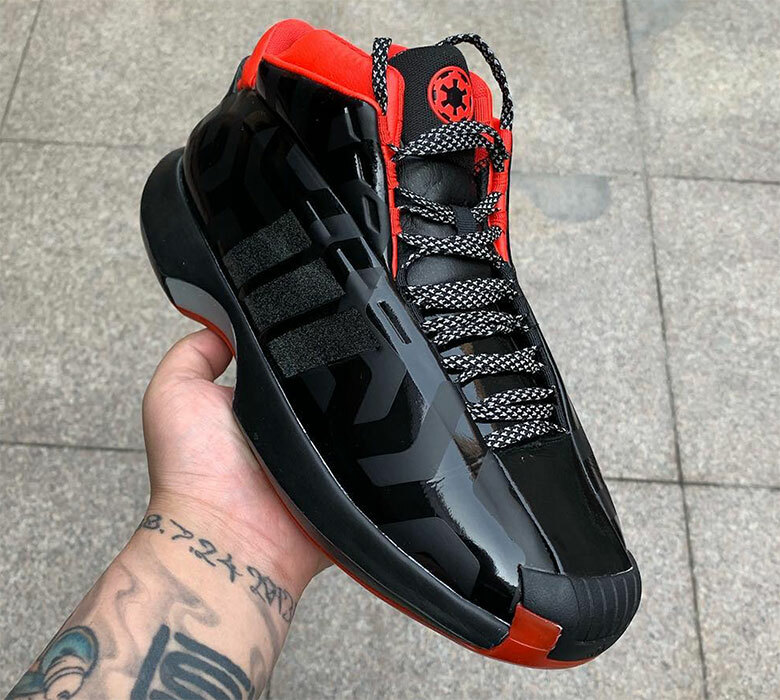 As seen in the first images provided by @DirtyMoney823, the "Galactic Empire" Adidas Crazy 1 features a tonal, graphic print throughout the upper, as well as an Empire logo on the tongue and co-branded insoles inside the shoe. 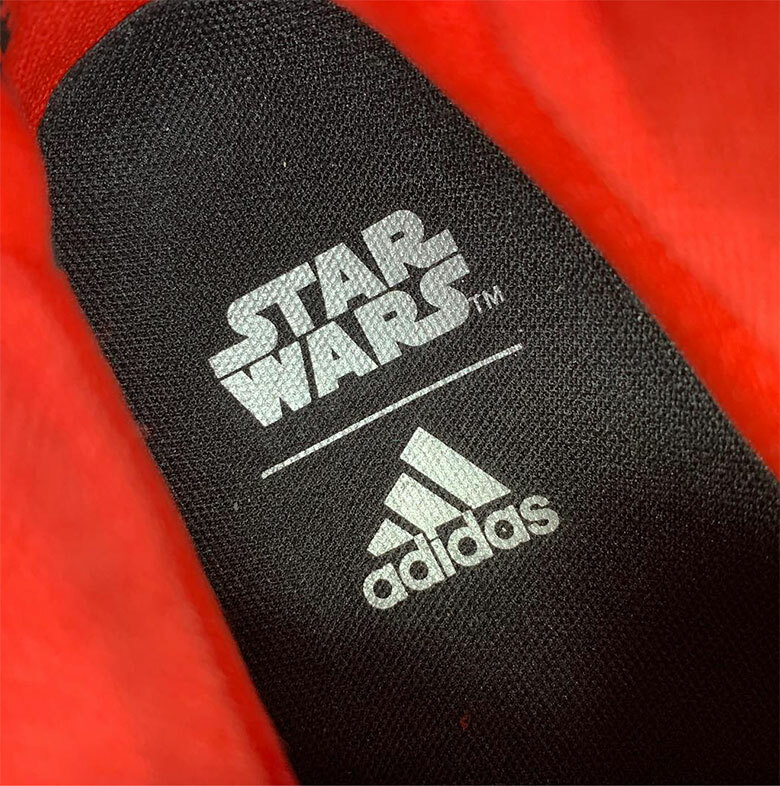 Stay tuned for more images and release details.